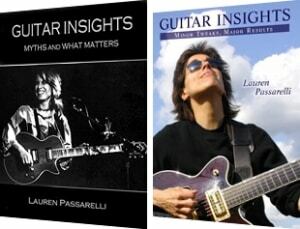 This week we’re joined by Lauren Passarelli, a guitar professor at the Berklee College of Music since 1984, JamPlay.com instructor, and author of two Kindle ebooks: Guitar Insights (minor tweaks, major results) and Guitar Insights, Myths and What Matters. Lauren is also a Beatles’ expert, performer, songwriter, recording engineer, record producer, and the list goes on and on. I consider her one of the hardest working women in music, and I’m thrilled she’s carving out some time for us here. Rather than asking her my questions, what if I asked her your questions? So, I put out a call for all of you to send me your questions, and what follows here is a list of your questions and Lauren’s answers to each. 1. As compared to young students, is it possible for “older” students to acquire the same skillset in the same span of time? Lauren: Anyone at any age can play well if they spend time playing. There are so many free resources, and it’s more fun now then ever to learn anything you’re interested in anytime of day. 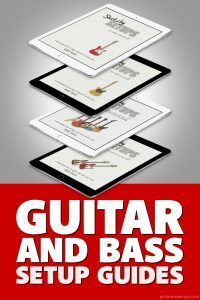 One of the best guitar websites I’ve ever come across for resources and cool videos is jamplay.com/card. 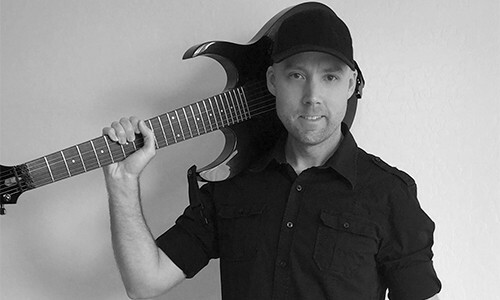 You can get guitar lessons 24 hours a day for a week, free with this code: 55DB3375AA. 2. Is it really necessary to learn more than the basics of the music theory in order to create a hit song? Lauren: No. Most hit song writers do not know any theory. Music is made up of frequencies, energy, and sound waves, and those frequencies translate into feelings and emotions for us as we sympathetically resonate with the sounds we like. That’s what goose bumps are from. Like choosing favorite visual colors, you don’t have to understand art or how paint gets combined to create individual colors. You just pick what looks good to your eye. Songwriters pick what sounds good to their ear. Try this: Put your fingers on any instrument and noodle around for sounds you like. Use your ears, please yourself. It’s my favorite way to write. 3. For someone who knows zero music theory but wants to learn, what would you recommend starting with? 4. How much music theory does a ‘leisure player’ like me need to know? I was told I need a decent grounding in music theory if I’m ever going to progress beyond a certain point. Lauren: None. Not true, especially if you have zero interest in the science of why music works. Music, sound, came first. The language and how to analyze music came after. If you find yourself wondering why is this chord called A and this one called A- (minor) then, you can google and find out, and on and on. There’s no end to any subject or how you can connect the dots for yourself in your understanding. Follow the fun and you will gain much knowing. 5. Besides music theory, what are some fundamentals needed for learning guitar? Lauren: Great beginner books. You have to physically be able to coordinate your hands and fingers to play so beginning books that give you finger exercises and the, “how to play”, give you the tools to develop ability. 6. What is the best way to practice scales, arpeggios, and chords to see how they relate to one another–how the forms can link together up and down the fretboard? 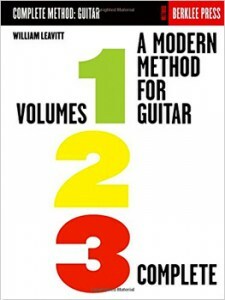 Lauren: A Modern Method for Guitar by William G. Leavitt vols 1,2 & 3. Read every word and every note and play through every page. It will teach you everything you want to know. 7. What would you recommend for starter recording equipment? I’m a teenager and don’t have a lot of money, but would like to try recording things. Lauren: Get a copy of Garageband and an interface, or stand alone tape recorder, or use your phone’s voice recorder. 8. Do you think one has to find a good teacher to be their best on guitar? Or can self-taught people reach their full potential, especially in this day and age where you can find a lesson for anything on the Internet? Lauren: The same work needs to be done whether you learn on your own or with a teacher. It’s up to you. It will be the same material. You can find it all on your own or have guidance with a teacher. 9. 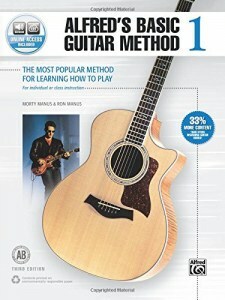 I’m learning acoustic and electric at the same time. Should I concentrate on one and get to a certain level before I think about picking up the other? Lauren: Both at the same time is fine and deliciously fun. 10. How can I tell if I am a “good” guitarist or not? For example, I can play many scales and chords but am still unable to play songs by ear. I still need a chord sheet and rhythm pattern help to play songs. Lauren: Record and video tape your playing and listen. Do you sound like the professionals you listen to? When you play scales and chords do they sound like music? If you play something many many times you will eventually memorize it. Learning to play music from hearing recordings is a whole other skill. 11. I have still not picked up speed. Is it okay if I am playing right but not fast? Lauren: Speed is only one dynamic to be concerned with. Playing well – accurately, in tune, and with feeling – matters more. 12. Is it okay if I am good at rhythm but can’t play lead very well, or vice versa? Lauren: It’s fine. It’s fun to do both. Experiment. Jump in. Start with easy songs and work at making your own playing sound like the guitar playing that’s inspiring you. Branch out to the new. Fill in the holes of your understanding. Use guitar books, the internet, watch and listen to great guitar players. 13. What’s the best method (or delivery system, perhaps) to relearn music theory and sightreading for guitar? Lauren: Depends on your learning style. The info is the same. Lessons, books, and videos. 14. What are important things to know both before & after attending the Berklee College of Music? Lauren: The more you know about music and your instrument before Berklee the further Berklee can take you through their curriculum. Berklee has always accepted absolute beginners as well. To succeed at Berklee, requires hard work, commitment, and willingness to open your mind to new ideas and ways of making music. As it happens, the very same things are required for success in music after Berklee! Lauren: Most employers just want to know you have a college degree. It’s often not important what the degree is in. For music students of course there is Performing, Music Therapy, Teaching, Recording, Composing, Arranging, Producing, Copyist, Manager, Personal Assistant, Music Lawyer, Tour Manager, Publicist, Booking Agent, Stage Manager, Music Publisher, Live Sound Engineer, Instrument Building, Instrument Repair, Sound Design, Music Promoter, Music DIrector, Music Conductor, etc. Look closer at the skills and ability to focus on details that a trained musician receives, those skills can be applied to anything. Musicians make great Computing, Telecommunications, Theater and Museum mangers, and so on. Really the main question is, what do you enjoy doing all day and in what environment, and who do you enjoy working with? 16. Music schools traditionally turn out very technically and academically proficient musicians. However, many music legends throughout history have had flawed technique and little or no formal music education. What can music schools do to encourage more original (or experimental) thinking among students? Are those two things at odds? Lauren: Phil Collins and Bonnie Raitt both said to me they wished they could have attended a college like Berklee. Sting’s son, Tuck Andreas’ niece, and Paul Simon’s son have attended Berklee. There will always be natural musicians who can play and write songs but can’t communicate or notate music. They will always need interpreters who do understand music to be in the band and to rehearse the band, or to speak with the musicians or recording engineers. Natural talent is only enhanced with more knowledge; it doesn’t disappear. They don’t cancel each other out. Flawed technique brings fatigue and injury over a lifetime. There’s no reason to have bad technique with all the guitar information available. 17. There are many ways to learn guitar now via electronic media: Internet, YouTube, Apps, Software, and even Video Games that teach guitar. During your time as a professor, have you seen any signs that these things are actually helping guitarists learn better and/or faster? Do students seem better prepared when they come to Berklee now than they did… say… 20+ years ago? Lauren: They’re all great teaching tools. The material is vast, but the ability to assimilate it is usually the same. Students at Berklee have always been accepted because of their talent, not just their head knowledge. Students in some ways are the same, eager for experience, open, and coming from a variety of backgrounds. Malcolm Gladwell speaks of putting in your ten thousand hours to become great at something. No one would put that kind of time into anything unless they loved it and had passion, talent and joy from spending time doing it. 18. What are some tips for getting (and keeping) the creative juices flowing? Lauren: Going back to the well of what inspired you to play or write in the beginning. Diving in and listening and learning how to play your favorite music, learning new ways to approach subjects you’ve neglected or left behind. Finding ways to make yourself proud everyday. Learning new instruments, joining or starting a band. New repertoire always brings me new surprises. More musician company. Do you have a burning guitar question that wasn’t answered here? Put it in the comments below, and maybe we can convince Lauren to come back again soon to answer them! Lauren Passarelli has been called the music world’s wonder woman for being a songwriter, performer, arranger, producer, recording engineer, owning a record label & being a Berklee College of Music Guitar Department Professor. A multi instrumentalist, singing & playing many parts on her own records, she has two CDs with arranger, Cindy Brown, under the band name; Two Tru, and seven CDs on her own. Her music has been featured on daytime TV: CBS, NBC, & WGBH. Lauren also recorded other artists including: Ruth Mendelson, Kate Chadbourne, Crave, Thaddeus Hogarth, & Jane Miller. 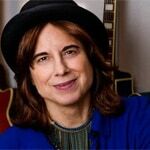 Pat Metheny has called her a great guitar player. Lauren’s early musical influences were: The Beatles, James Taylor, Stevie Wonder, Carly Simon & Fleetwood Mac. New Englander’s know Lauren as, George Harrison, having toured with Beatles’ tribute bands. Visit her at laurenpassarelli.com.